As part of the DSAuk project to increase the number of people taking part in shooting, Arthur Dean, Simon Mount, Rebecca Nuttall, Matt York and Nigel Burton have undertaken and successfully passed the National Smallbore Rifle Association YPS Instructors course at Aldersley shooting centre in the West Midlands. The course has equipped those taking part with the required legal, safety and equipment knowledge to run taster sessions for air rifle and air pistol target shooting. In addition, Pete Bonner is a certified NSRA range officer qualified to run a range for air rifle and air pistol target shooting. It is anticipated that a second course will be run in the first half of 2016 to increase the number of instructors within DSAuk. Shooting is a sport that can be enjoyed by everyone at all levels from an absolute beginner to someone who is keen to test their skills in competition against other shooters. 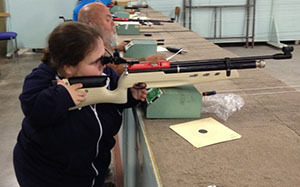 Numbers are increasing each year in the DSAuk National Games shooting competition and the GB team enjoyed great success in the air pistol shooting competition at the 2013 World Dwarf Games winning a total of 2 Gold, 2 Silver and 1 Bronze medal. 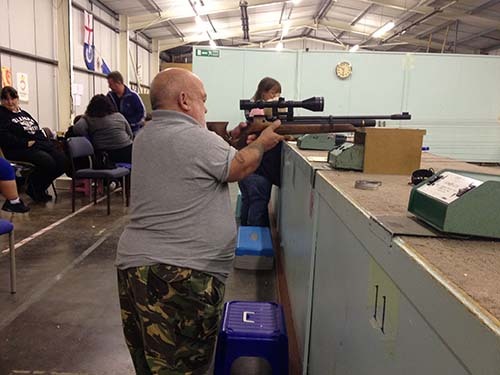 Shooting training sessions are already booked at Aldersley shooting centre and a number of the DSAuk regions are also looking to run taster sessions throughout 2016. Keep an eye on the DSAuk facebook and website events page for more details on dates and times of sessions.